So the World Cup ended almost a week ago now and had to time to think about how England did at the World Cup. There are many different opinions on whether it was a good one or not for England, were we good? Lucky? Bit of both? At the end of the day, it is a step in the right direction from 2 years ago in the Euros and getting knocked out in group stages and losing to Iceland. Now Iceland actually were and are a decent team, but England should be able to beat Iceland – and it was also the actual performance. But at the World Cup, we got to the semi-final. Yes, we ended up getting an “easier” route and our group was easy to get through but there were many teams in the World Cup who lost to “small teams” and went home earlier than expected – some without much of a fight. E.g. Argentina, Spain, Germany, Portugal. As mentioned, England had an easy group and playing Tunisia and Panama was never going to be that tough – although we thought that v Iceland and Tunisia needed a last minute goal. But Panama were rubbish. But it was always going to be tough v Colombia – turned out to be tougher with their fouling. Arguably a bit more fortune for England in that Colombia’s best player James Rodriguez was out injured. 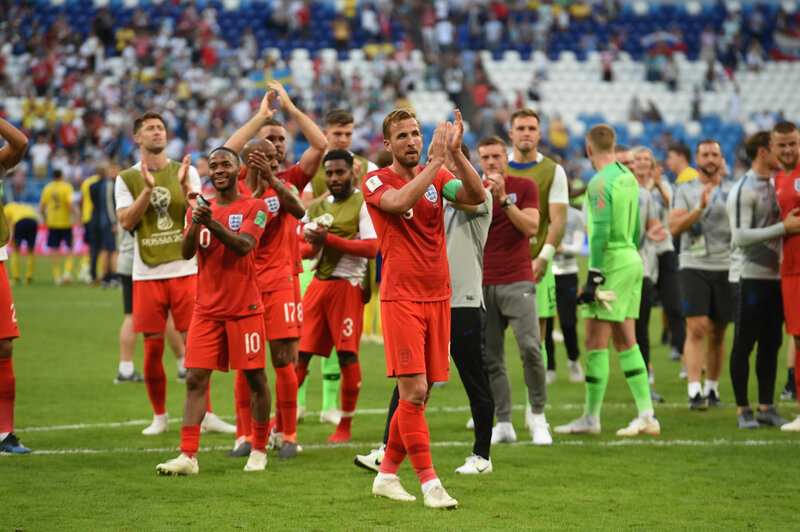 But we won – and on a penalty shootout – which was first time ever in a World Cup for England. That was one of my highlights of the World Cup. The game v Sweden was almost always going to be a let-down as they didn’t really have anything to trouble us. And then the game v Croatia was possibly a step too far. Croatia were the better team. BUT we played well for about 30 minutes and scored the first goal with a brilliant freekick by Trippier. And the 2nd goal we conceded was because of sloppy defending. But as I said, Croatia deserved to win. But at the end of the day, England, if things rolled our way, was about 25 minutes from a World Cup FINAL! Just imagine how that would have been – to get to a final. Nevermind winning it. That may not happen now for a long long time – since things all seemed to be rolling in favour of England. Anyway, going back to the actual England team, although I think there were many positives, there were some negatives. There was a lack of creativity in the team and this showed with so few attempts on goal from open play. I think we had 6 shots on target from open play the whole World Cup? (That stat may be wrong but can’t be too far off). 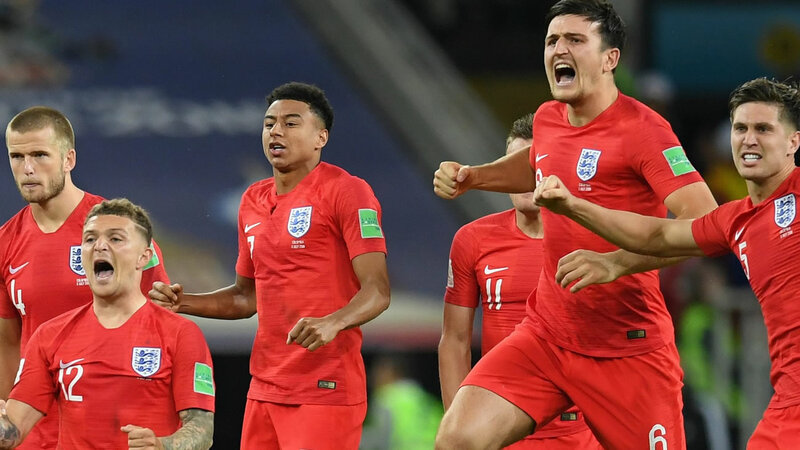 This was not necessarily Gareth Southgate’s fault because he was unlucky to lose some creative players which possibly could have made squad/team like Lallana and Oxlade- Chamberlain. Or maybe even Wilshire? (And England will be wishing Wilfred Zaha had decided to play for England instead of the Ivory Coast. Don’t know if he decided this because of lack of England call ups. Or he decided to play for country he was born in??). There was several stand out performances for England. Trippier (my personal England player of the tournament), Maguire, Pickford. Henderson was good in the group stages. I thought Lingard had a really good World Cup too. Overall all players did well. But its worth commenting on a few! Kane – he was brilliant in the group stages – and most of game v Colombia. Although he did fail to take chances, he held up the ball really well, created chances. And those penalties were really good penalties! But then after game v Colombia, he did nothing. I think he was being kept on the pitch in case it went to penalties. He was a bit fortunate to get the Golden Boot award but those chances had to be put away and he was in the right place at the right time – however lucky!! (3 penalties, 1 tap in, 1 header – I think harder than it looked, 1 fluke). Sterling – there is always going to be strong opinion on Sterling and how he plays. Many think he did crap at World Cup, others thing he played well. I am sort of in the middle but towards he did well. We all know his finishing is rubbish but other stuff he did was really good. He was often furthest player forward for England and used his pace well. And strength too against players almost twice his size! With his movement and pace, he stretched the opposition team and created space for other players. And managed to win freekicks and corners. Now as I said, his finishing is pretty rubbish. Basically his final ball. There were times when he just needed to shoot but took an extra touch or 2 and then the chance was gone. Or other times he needed to pass (quickly) but took too long and chance was gone. As a United fan, I was screaming out for Rashford to come on for him in 2nd half (either at HT or about 60 ish minute). Not because Sterling was rubbish but just a different option and give something for defence to think about. Saying all that though, when Rashford came on, he was just OK. He seemed to be trying too hard and trying to beat the defender as soon as he got the way. But of course he is one for the future. Alli – didn’t really light up the World Cup in any way but I think he wasn’t fit. He wasn’t quite the same after that 1st game when he got injured. Bring on Euros 2020. This time the games will be in 12 cities in 12 European countries. The final is at Wembley.